The latest Spirou and Fantasio album is a trip down memory lane for us who have followed this series for a long time. As those of you working as comics artist, journalists, editors or authors know, there can be long bouts of work with little or no obvious payoff. And then there’s periods when everything just comes together and your mailbox (physical and digital) is filled daily with new publications. That has been the case for me these last few weeks. It started with my latest academic article, Comic Studies in the Nordic Countries – Field or discipline? being published in the great Journal of Graphic Novels and Comics. This has been in the works literally for years now, so seeing it in print was really satisfying. When it got this new graphic novel by Max Andersson, actually the first since Pixy, which was published an astonishing 25 years ago, I was really elated. For me Pixy was one of the major eye openers to the potential of comics and I have followed Andersson’s career ever since. But he has mostly created shorter comics, and though highly interesting, not quite matching the more epic qualities of Pixy. So, it was with some trepidation that I took on reading The Excavation, although I had read some of these comics before, in various publication including the comic book Death and Candy. A story that begins promising and has great potential, which unfortunately is sorely misspent by scriptwriter Cauvin at the end. The idea of alternative, subjective versions of the chaotic reality during a battle is inspired, although no one who reads this long-running series would ever believe in the possibility that Blutch, one of the comic’s two main characters, actually would have died. Despite this, entertaining and well done, if not ingenious. Bild & Bubbla 207 is here! And the hits just keep on coming. The latest issue of the journal Bild & Bubbla, which I edit, just arrived. Extremely proud of the feature on the incredible Ulli Lust. A new teacher’s guide by yours truly was just made available online. It’s in Swedish and geared towards teachers in Swedish primary school, containing sections on why comics should be used in the classroom, how this matches the instructions in the government’s policy documents etc, as well as more practically oriented tips on workshops for different levels and different school subjects. Do spread the word, as this is free of use for all teachers. A brand new interview with your’s truly (in Swedish) about the work I do to establish comics in my home town. And here’s my talk with the impressive creative couple Jessica Abel and Matt Madden, the jet-setters of the international comics culture. It’s that time of the year when all the hard work that you have put in throughout the winter/spring comes to fruition. 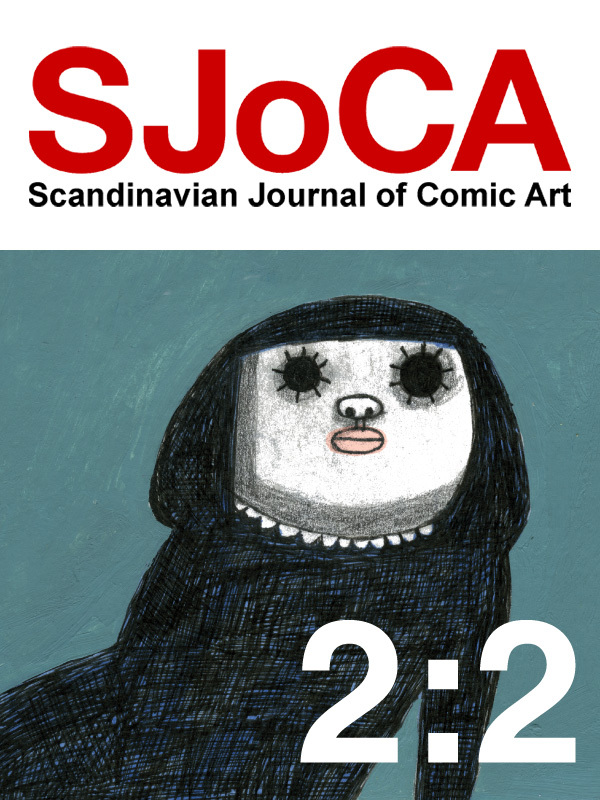 There are no less than five publication with material by your’s truly out or about to be published, and now the artist talks that I did at the comics festival in Stockholm are available online. Here’s my talk with the incredible Rutu Modan. I recently wrote a review of the two first volumes of Riad Sattouf´s masterpiece L’Arabe du future for the Swedish newspaper Svenska Dagbladet. It can now be found in its digital form here. Every year, my wife Hanna creates a Christmas card featuring our ever growing family, drawn in the style of some famous comics artist. 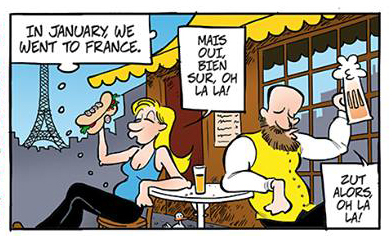 For new years, she also draws a one-page cartoon about the year that has passed and what we have experienced. The latter has been on hiatus for a while now, since we’ve had two kids in three years, but now she’s picking up where she left off, and right now you can see her comic about the year 2013, in the style of the Norwegian Frode Øverli’s Pondus.